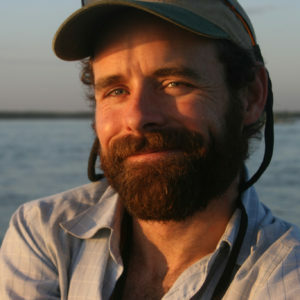 Chris is a scientist and entrepreneur who is passionate about energy, sustainable business development, and innovation. He is currently a Research Assistant Professor of Chemical and Biological Engineering at Colorado School of Mines, a title that is far too long. Until recently he managed a startup company founded with the mission to transform forestry and agriculture waste into useful materials. Previous posts include scientist at the National Renewable Energy Laboratory, mountaineering guide, and technical consultant. Chris is scheming to move to the North Fork some day, and enjoys hiking, construction projects, and policy conversations. He once assisted a man who was being attacked by an octopus. Ralph graduated in 1964 with a Bachelor of Science degree from the United States Military Academy in West Point, New York. He served 5 years on active duty in the U.S. Army, including a tour of duty in Vietnam, and 15 years in the Army Reserve. Following release from active duty he attended Villanova University School of Law in Villanova, Pennsylvania, graduating in 1977. He then practiced Intellectual Property Law for 30 years for 4 corporations across the U.S. serving in positions of increasing responsibility culminating in the position of Corporate Intellectual Property Counsel. Ralph retired in 2006 in Western Colorado with his wife. 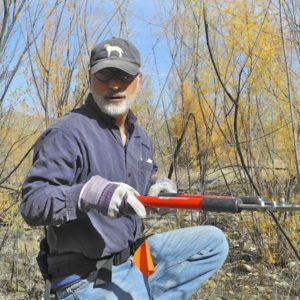 Since retiring he has been an involved community member, finishing 2 terms with the Delta Conservation District Board of Supervisors in 2018. He served as a Court Appointed Special Advocate for neglected and abused children in the 7th Judicial District from 2008-2012 and been a member of the board of directors of community based conservation organizations since 2010, currently serving with the WSCC. With his wife, he enjoys the outdoors skiing, hiking, biking, rafting and fishing. Allison believes that the beauty of this planet is what makes life possible. Allison has a degree in Environmental Planning and Design. She has worked as a rafting guide, a backpacking guide, a landscaper and office manager. For many years she worked at The Exploratorium, which is dedicated to being a hands on museum designed to encourage self-directed exploration and experimentation as a way of learning. Recently, Allison has been involved in a “green development” project designing the public parks and streetscapes in a solar-oriented neighborhood. Term end date: 2022. 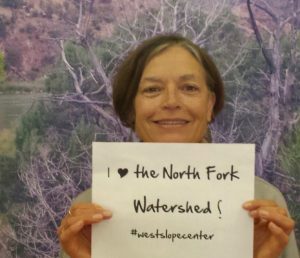 Ben is excited to help develop citizen science and education programs in the North Fork and beyond as a board member of the Western Slope Conservation Center. He graduated with a BS and an MS in Earth Systems Science from Stanford University prior to moving to Colorado. Ben is a science teacher at Delta High School, where he teaches a number of courses including a Solar Energy Training vocational course, College Biology and AP Environmental Science. Through these classes he is passionate about helping his students explore their backyard and develop a pathway into STEM careers. 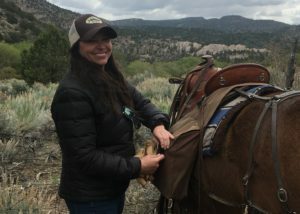 These efforts have resulted in the development of a county-wide program called the Youth Outdoor Network to connect high schoolers with internships and jobs with natural resources agencies on the Western Slope. He and his family live in Paonia where they enjoy ski adventures on the Grand Mesa and playing on the Gunnison River. Term end date: 2020. Zach Krapfl is an electrical engineer specializing in e-bike design. He has worked for Clean Slate Energy and lived in the North Fork Valley with his wife and daughter for six years. Term end date: 2020. Tracy is a Colorado native and has lived in the North Fork for the past 15 years. Tracy is a technical writer and specializes in developing user manuals, website content, user interface design and graphical elements for computer software programs. As time allows, she branches out into creative writing and editing endeavors. 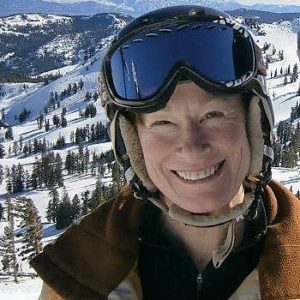 When not at her computer, she enjoys telemark skiing, mountain biking, gardening, dancing, drawing, and practicing Reiki healing touch. Term end date: 2021. Dave is a fourth-generation Coloradan who hails from the Front Range. 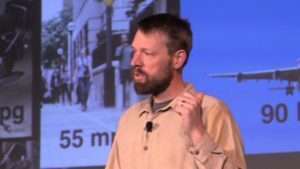 In 2006,he began mapping the geology of west-central Colorado for the Colorado Geological Survey and Colorado School of Mines. (The maps, which cover the area from Montrose to Delta to Paonia and Crawford, are available to the public via free download from the CGS web site.) His first career was as a seasonal ranger-naturalist with the National Park Service, at Rocky Mountain National Park. His second career was as a geologist, at first associated with oil and gas and minerals exploration issues, and later associated with geological engineering, geologic hazards issues, environmental geology, and geologic mapping. 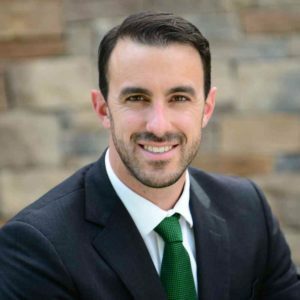 Dave has degrees in geology and geological engineering from the University of Northern Colorado, the University of Texas at Austin, and Colorado School of Mines. He holds national awards for contributions in professional literature from the Geological Society of America and the Association of Engineering and Environmental Geology. His book, “A Guide to Swelling Soil for Colorado Homebuyers and Homeowners,” has sold more than 400,000 copies. 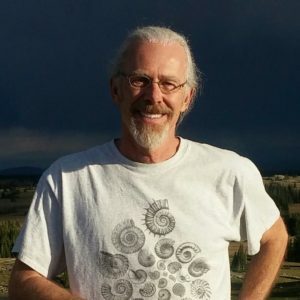 Dave retired in 2015 and currently lives in Paonia. His interests include hiking, camping, photography, maps, snowshoeing, and musical performance. Term end date: 2022. Karen moved to Colorado, home of her paternal ancestors, after receiving her BA at UCLA. A lead from a good friend and Masters Degree in Special Education from DU, led to her first teaching job in Delta in 1982. 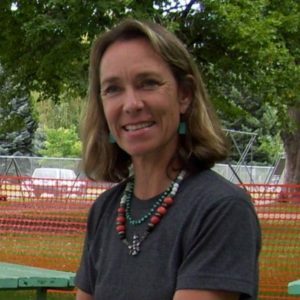 As a public school educator in the Delta/Montrose districts, Karen used her passion for outdoor activities and conservation as rich instructional contexts for leveraging technology tools and resources for learning and instruction, as well as creating cross-country and adaptive snow-sport opportunities for elementary-aged students of all abilities on the Grand Mesa. Karen lives with her husband on Lost Mesa West above Hotchkiss. They enjoy a variety of back-country activities and being at home with the deer and other wildlife on their land. Term end date: 2022.